I don’t know if there’s an actual etymological connection between the weaving tool and the expression of doom, but it has seemed more and more likely over the past couple of months. After a loom was passed along to me last Christmas, I put a lot of work into getting it ready to use—assembling it, cleaning several decades of someone else’s basement off it, buying some missing parts, figuring out some light repairs, buying a (very good!) Craftsy class to relearn how to put a warp on—I realized that it had some technical issues I wasn’t prepared to deal with. 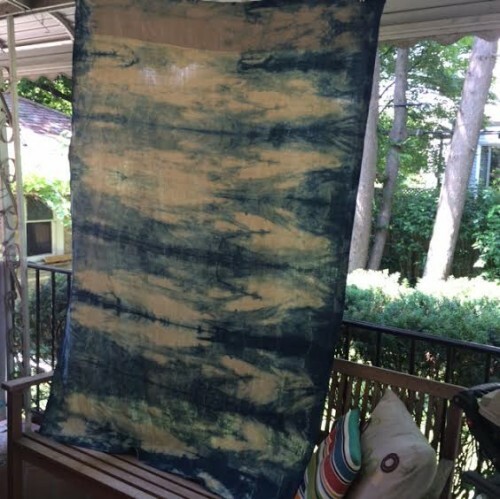 I reached out to the Textile Arts Center to see if they had anyone who did one-on-one teaching/loom setup and repair, but none of the weavers they passed my request along to ever contacted me. And so the loom sat, taking up a not insignificant amount of space and making me feel terrible every time I looked at it. For months. And since it was set up in our bedroom, it was one of the last things I saw at night and one of the first things I saw in the morning. Finally, over Labor Day weekend, I was forced to confront the fact that getting the loom into fighting shape and getting myself up to speed with weaving again were going to take time and energy I’d really rather spend on other things right now. So I listed it for donation through Materials for the Arts and someone from a girls’ afterschool program in Harlem came and picked it up today. And I swear the apartment feels lighter and brighter. I’m even breathing more deeply. It’s like the loom was sucking up all the light and oxygen in the room. 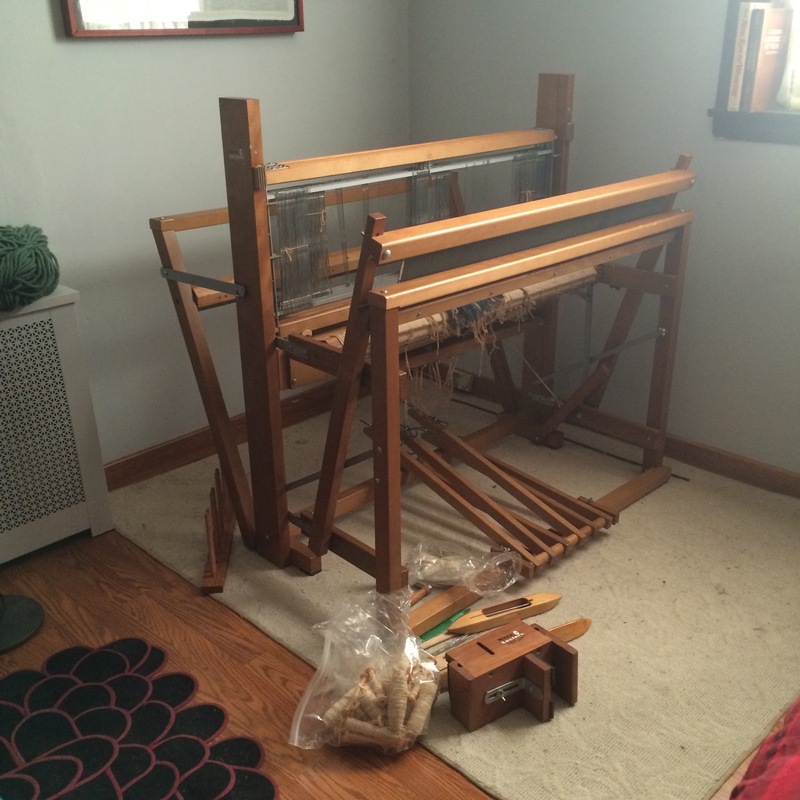 If I’m in a position where I want to weave again in the future, I’ll take some time to research looms and find one that fits my needs instead of trying to work with something that turned out not to be right for me. One thing this frees me up to do more of is surface design experimentation, which I’m really excited about these days. 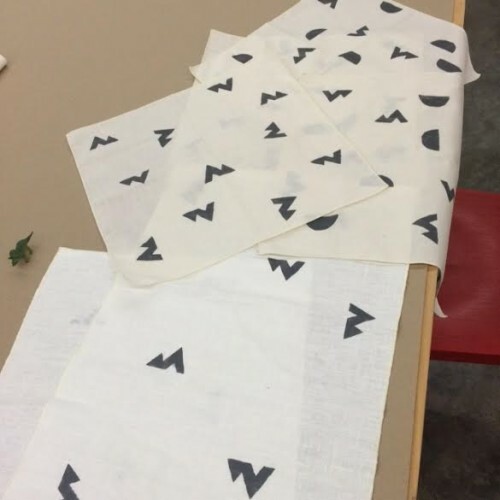 I took a great workshop on stenciling on fabric from Anna Joyce when she was in town recently; I made these napkins and table runner with the Schoon logo design. I’m also signed up for Jen Hewitt‘s online block printing workshop in a few weeks. I’m so excited!—I’ve been a fan of her work for ages and I’m really thrilled to have the chance to learn from her.